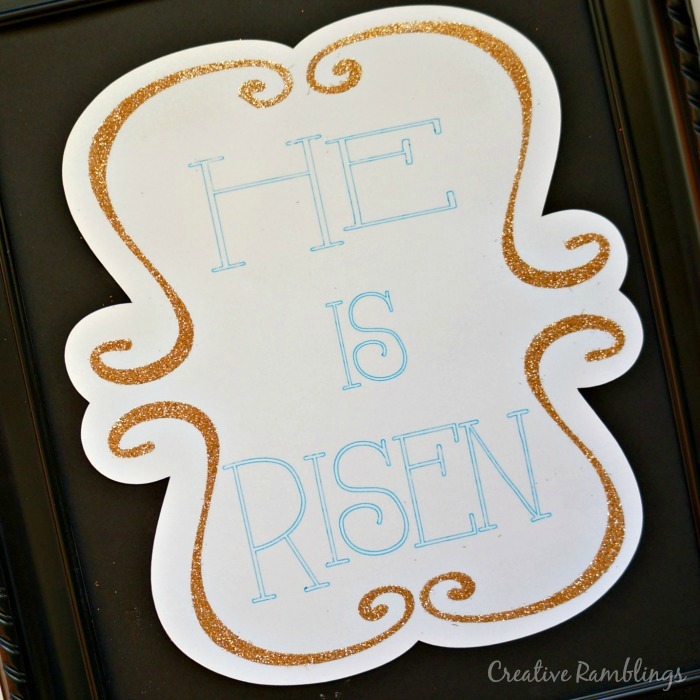 Easter is less than a month away, my Silhouette and I have been at work creating all kinds of fun Easter and Spring crafts. 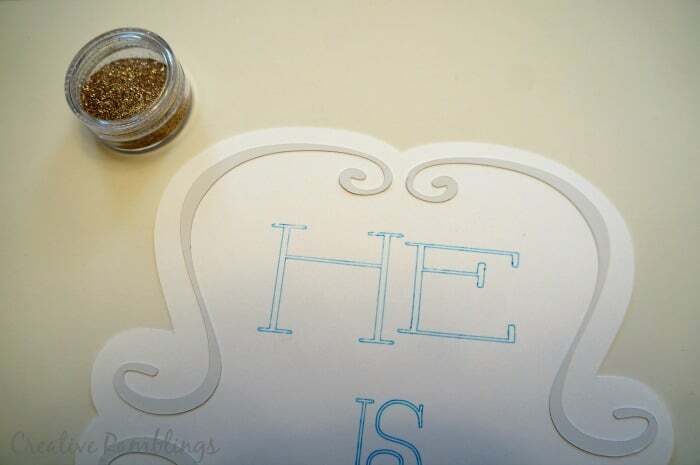 Today I am sharing a piece I made using sketch pens, double-sided adhesive, and glitter. 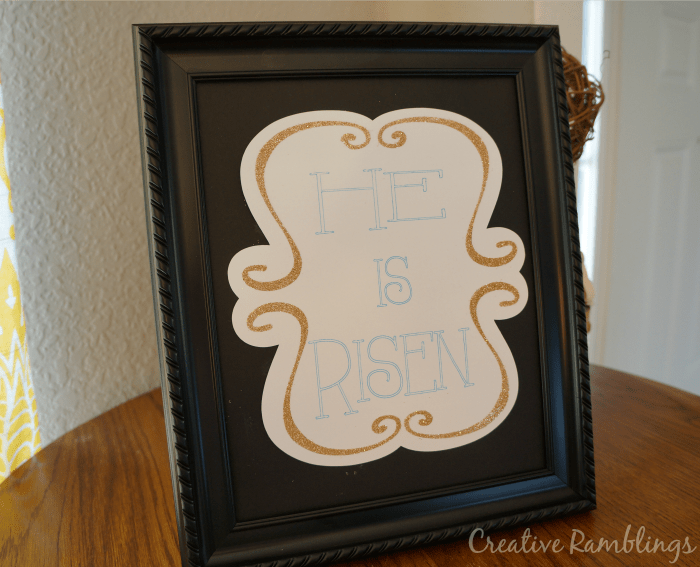 Take a look at my He is Risen Easter Silhouette Art, and check out 21 other word art projects for your Silhouette. The Silhouette can do so much, sometimes it’s not enough to use just one medium. I started by creating my design with the Silhouette software. 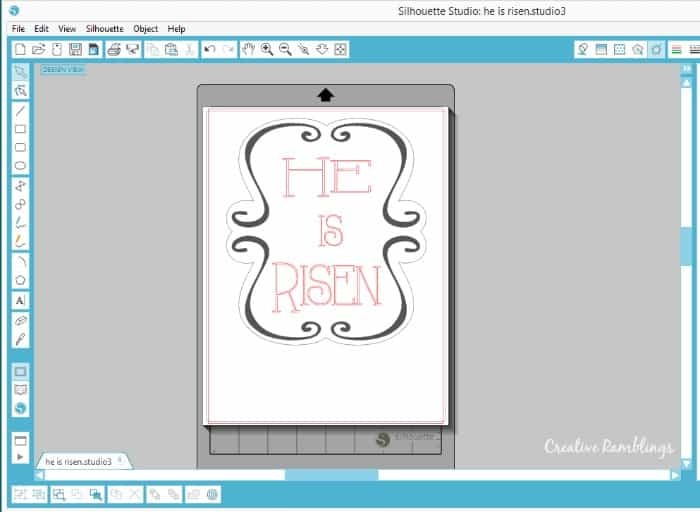 Once everything was designed, I moved the outer design off the cut area and used my sketch pen holder with a ball point pen to draw the words He is Risen. Using a pen with your Silhouette is really easy. Just replace your blade with the holder and choose the sketch pen from the cutting options. The pen will draw any cut lines on your page. Without removing the mat from the machine, I switched out the pen holder for the blade and cut the outline of the shape. Next I cut the scroll design from double-sided adhesive. This is such a fun product, I used it for some Christmas decorations and loved it! Once the design was cut, I peeled off the yellow back and added it to my cut out shape. 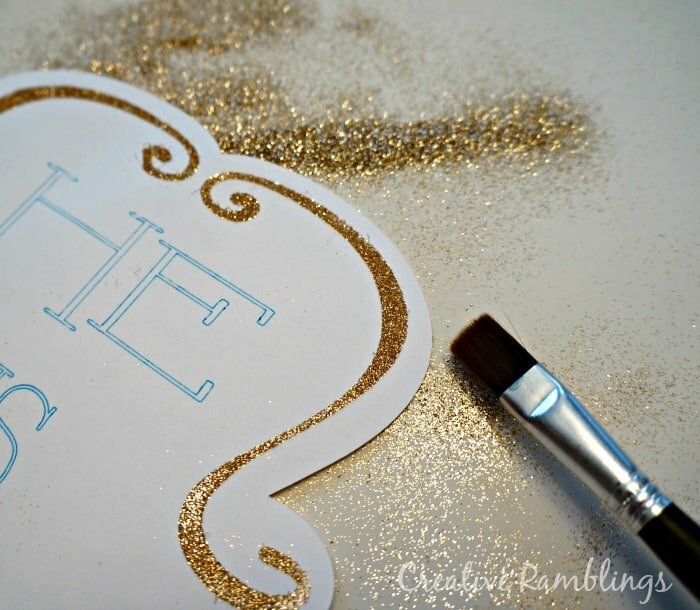 I took off the top white layer to expose the clear adhesive and sprinkled gold glitter on top. I put the design on black paper and in a black frame. It pops and looks so pretty on my curio cabinet. I hope to have a few more Easter decorations for you over the next couple of weeks. Beautiful project! The glitter really makes it pop. I love this! 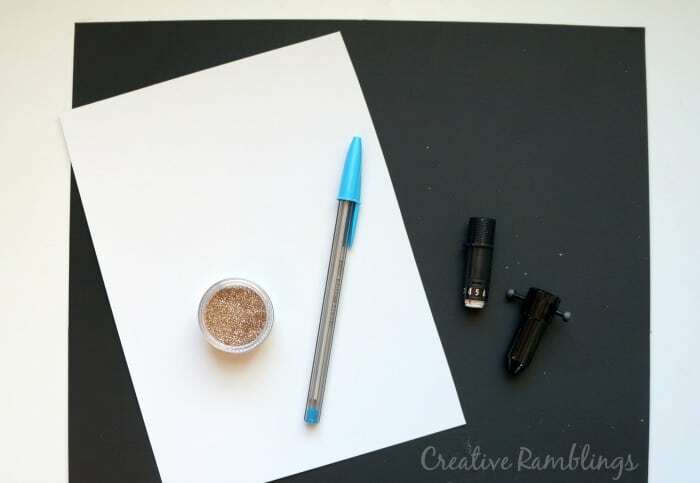 I will need to get a Silhouette pen holder and try it. Thank you, they are so fun. It’s really lovely Sarah, Love the glitter border. Ooooh! 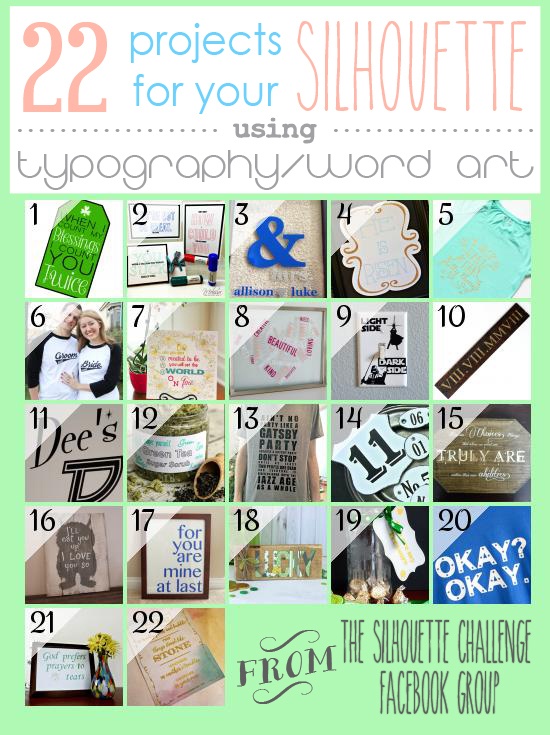 Great use of giltter!